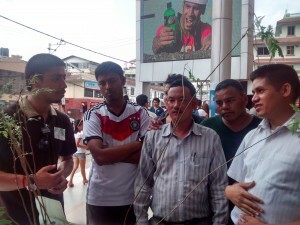 July 12th marked our silver jubilee of events, it was hosted in City Center with the same theme “Grow and Multiply”. We organized our stall exactly outside the main gate, with banners and tree saplings. We got a balloon for decoration, from a nearby balloon vendor which added more attention to our table. All of us love each event and since we are all child at heart, we were setting the corner allotted to us with all the enthusiasm. We got our t-shirt printed, and on this day we wore for the first time with great pride and big smile. The event went ahead very smoothly, with many inquires from people of different field. We were more than happy to give them information on how it all started, why we do it and how we do it. 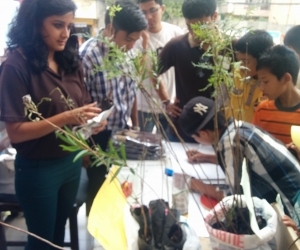 People started taking the saplings and also contributed some amount of money for the cause. This event we had small kids who communicated with us, and it was a great pleasure to see youth taking an interest in making a cleaner and greener world. Some took saplings with promise to plant it immediately after reaching their houses and mail us a photo once the work was done. 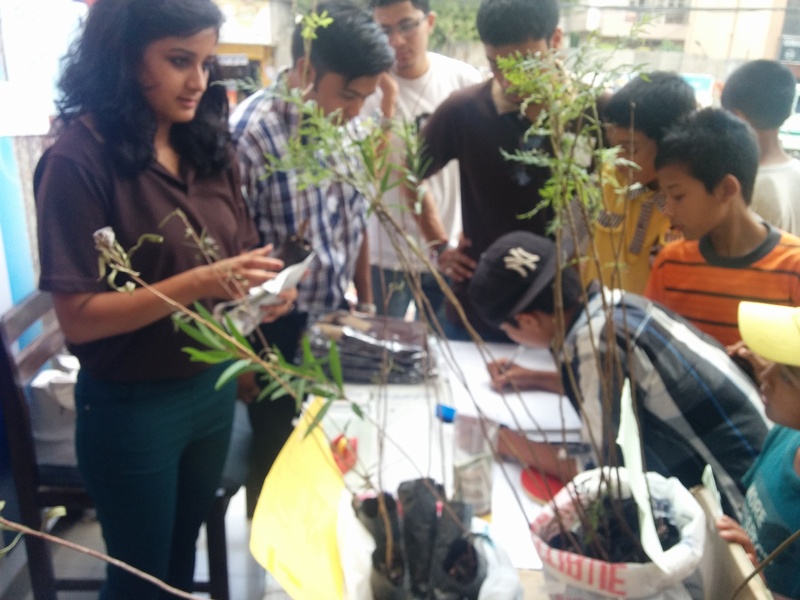 There is always a variety of crowd coming for the saplings, from kids to retired elders to business man, to college guys and this time we met students of B.Sc Forestry (Trishna & Ravi), who gave us valuable suggestions and information about the plants and the trees. They told us about what plants are suitable in Kathmandu and how we need to protect it. We would like to thank them for sharing their knowledge and motivating us to carry our events further. We were so engaged, as there was a huge crowd gathering and we barely had time to relax. In the end we gave more than 50 saplings, and contributed 50 trees in the town. We also had some buyers for our t-shirt, which held the message “A sack full of Happiness”.Indeed wearing the tee and conducting the drives gives us and everyone involved a sack of happiness by the end of the day!! 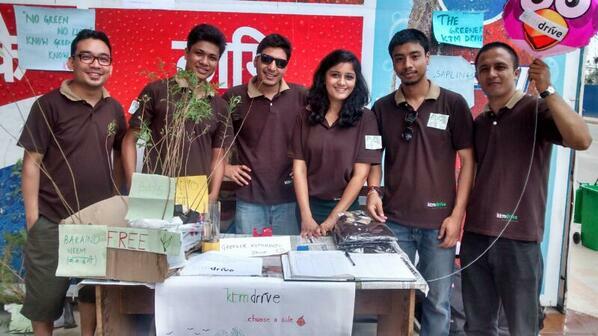 All in all it was quite a successful event and a great way to mark the 25th Drive. We learned and shared many new things .We believe that’s how the world should be, learning and sharing each day for the betterment. It’s always a great feeling to go home with a smile but it is the best to reach home after bringing smiles to many . Doing good requires no second thought and if you want to join us for our next event and be part of ktmDrive, you are always welcome.